Get Graham Coxon essential facts below. 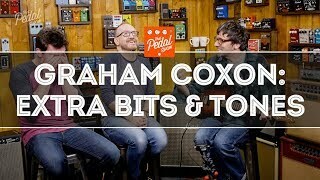 View Videos or join the Graham Coxon discussion. 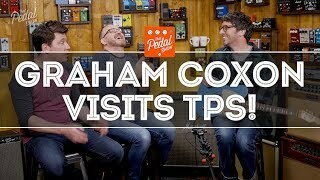 Add Graham Coxon to your PopFlock.com topic list for future reference or share this resource on social media. 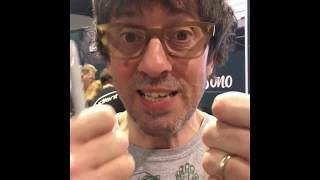 Graham Leslie Coxon (born 12 March 1969) is an English musician, singer-songwriter and painter who came to prominence as a founding member of the rock band Blur. As the group's lead guitarist and secondary vocalist, Coxon is featured on all eight of Blur's studio albums, from 1991's Leisure to The Magic Whip (2015), despite being absent from the group from 2002 to 2008 owing to a dispute with the other members. He has also led a solo career since 1998. As well as being a musician, Coxon is a visual artist: he designed the cover art for all his solo albums as well as Blur's 13 (1999). 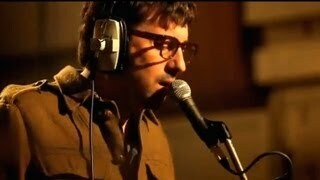 Coxon plays several instruments and records his albums with little assistance from session musicians. Q magazine critic Adrian Deevoy has written: "Coxon is an astonishing musician. His restless playing style - all chord slides, rapid pulloffs, mini-arpeggios and fractured runs - seems to owe more to his saxophone training than any conventional guitar tuition." 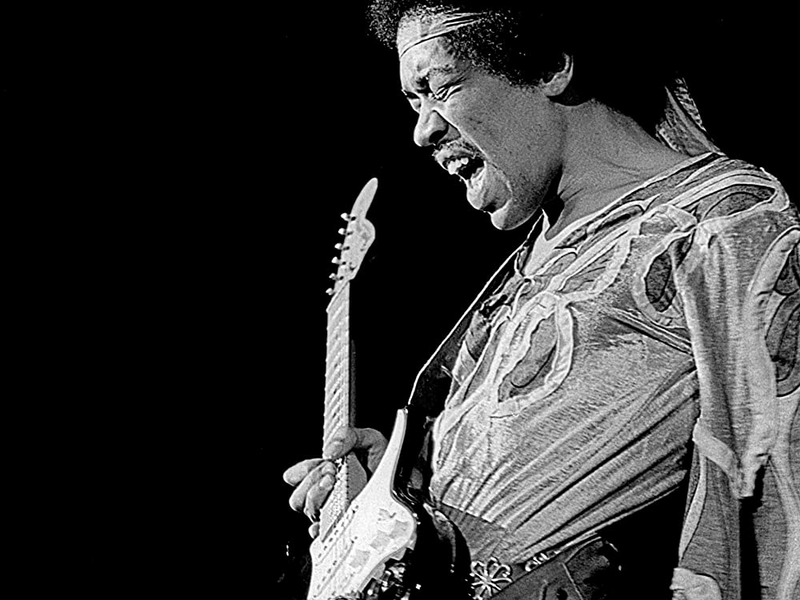 An innovative lead guitarist, he has been described by Oasis bandleader Noel Gallagher as "one of the most talented guitarists of his generation." 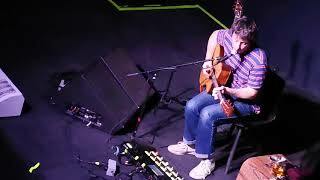 Coxon was voted the 15th greatest guitarist of the last 30 years in a 2010 BBC poll. Coxon was born in Rinteln, Germany where his father, Bob Coxon, was stationed as a clarinet player and band leader in the British Army. As a child, he moved first to Spondon, near Derby, a period during which he became a fan of Derby County. He then moved to Colchester, Essex, in South East England, where he grew up and met fellow Blur member Damon Albarn at The Stanway School, then known as Stanway Comprehensive, at the age of 11. He appeared on the popular BBC children's show Blue Peter twice. Coxon studied Fine Arts at Goldsmiths College, London, for two years, where early on he met bassist Alex James. In his time there he mixed with upcoming talents such as Damien Hirst, Michael Landy, Sam Taylor-Wood, and Abigail Lane, some of the future leading lights of the Britart movement. He quit college due to the increasing success of his band at the time, Seymour, which later changed its name to Blur because the recording company, Food Records, thought Seymour was too 'student-ish'. They presented a list to the band of preferred names which included "The Shining Path" and "Blur". As well as providing all guitars, backing vocals, and occasional drums, Coxon's lo-fi and alternative musical style and tastes influenced the band's less commercial music in the late 1990s. He sang lead vocals on songs including "Red Necks", "You're So Great" from the album Blur, and "Coffee & TV", as well as a section of the chorus of "Tender", the bridge of "Lonesome Street" and a section of "Thought I Was a Spaceman" on The Magic Whip. During the 1995 period of the media-dubbed 'Battle of Britpop', Coxon became increasingly weary and suspicious of the music industry. His behaviour was occasionally awkward, such as refusing to appear in the video for Blur song "Country House" unless he could dress as a milkman and take no part in any action he felt uncomfortable with. In November 2001 Coxon was admitted to the priory hospital for 28 days to be treated for alcoholism. During this time, Blur began the recording sessions that would produce the material for their next album, Think Tank. In February 2002, Coxon rejoined the band in the studio for the rest of the recording of Think Tank but after five days was asked by then manager Chris Morrison not to go back into the studio as the other members of the band had reported that the session was not going too well with him present. Coxon took this as a sign and left the band. As he stated in an interview in 2006, "I had a breakthrough, I think my life just became calmer, I gave up drinking. My priorities changed as I had a young daughter. The group didn't want me to record for the Think Tank album, so I took it as a sign to leave". His last contribution to Blur was a song called "Battery in Your Leg", the closing song on Blur's 2003 album Think Tank, before leaving the line-up. Damon Albarn later revealed that the song "Sweet Song" was written after he had been looking at a photograph of Coxon. After Damon Albarn's revealing that he and Coxon had rebuilt their relationship, on 9 December 2008, Blur announced that the whole band would reunite for a show at Hyde Park on 3 July 2009. 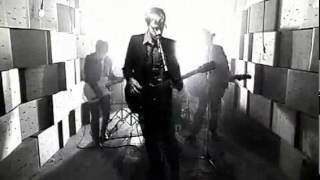 More dates were announced and the band played festival dates at Glastonbury, T in the Park and Oxegen 2009 as well as headlining shows in Manchester, Newcastle, Wolverhampton, Goldsmiths College and the East Anglian Railway Museum in Colchester. Blur also played one show in Lyon, France. On 17 April 2010, the band released their first single since 2003, "Fool's Day", for the Record Store Day event as a 7" limited to 1000 copies. The band released the single as a free download on their official website the next day. More recently Blur announced via the NME website that they would reunite every so often and record more singles, preferably on 7 inch. However, Damon also stated that an album was not on its way as they were all too busy with their own individual projects. On 19 February 2015, Coxon and the band announced on social media that they would be releasing their eighth studio album on 27 April, titled The Magic Whip, Blur's first album in 12 years and first in 16 years in their original lineup. Coxon had already released three solo albums while as a member of Blur before his 2002 departure. His first, released on his own Transcopic label was The Sky is Too High in 1998, a ramshackle mixture of English folk music and 1960s-style garage rock, influenced by Billy Childish. This was followed by the more extreme The Golden D in 2000 and the thoughtful Dylan-Drakesque Crow Sit on Blood Tree (2001). After going solo full-time, he released The Kiss of Morning in 2002. 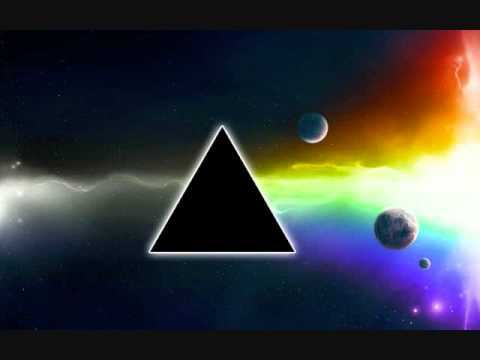 The album proved to be his most accessible to date and was promoted with the single "Escape Song" which proved to be an interesting hybrid of Syd Barrett's "Octopus" and progressive rock trail-blazers The Nice. In 2004, Coxon released his fifth solo album Happiness in Magazines, produced by ex-Blur and The Smiths producer Stephen Street. This proved to be his most successful album to date, and he received the NME Award for 'Best Solo Artist' in 2005. In March 2006 he released his sixth solo album, called Love Travels at Illegal Speeds, again produced by Stephen Street. It marks Coxon's first album away from his now-defunct indie label 'Transcopic'. The LP was preceded by the singles "Standing on My Own Again" on 27 February and "You & I". Coxon embarked on a tour of the UK, starting at Newcastle University. He also got involved in a single supporting the England national football team at the 2006 FIFA World Cup. 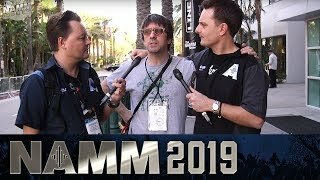 The song was a re-working of the Sham 69 hit "Hurry Up Harry", and was released as "Sham 69 and The Special Assembly" (as well as Coxon and Sham 69, Virgin Radio DJ Christian O'Connell, who had run a competition on his show to find a band to record a song in support of the team, was involved in the recording of the song). "Hurry Up England" entered the UK Singles Chart at No. 10. In October 2006, Coxon released a double live album Burnt to Bitz: At the Astoria immediately after his sold-out London Astoria show. The album features 27 songs, with at least one song from each of his albums. In July 2007 Coxon released a single with Paul Weller, called "This Old Town". The single peaked at No. 39 in the UK Singles Chart. Coxon's seventh 15-track studio album titled The Spinning Top, produced again by Stephen Street, was released on 11 May 2009. Coxon says the LP, which is primarily acoustic, follows a narrative - the story of a man from birth to death. "The album is mainly an acoustic journey although there is, of course, some explosive electric guitar action," he explained. "There are some guests too! Robyn Hitchcock supplies some counter-attack guitar, Jas Singh plays dilruba and jori with his friends Gurjit Sembhi on taus and Jaskase Singh on esraj. 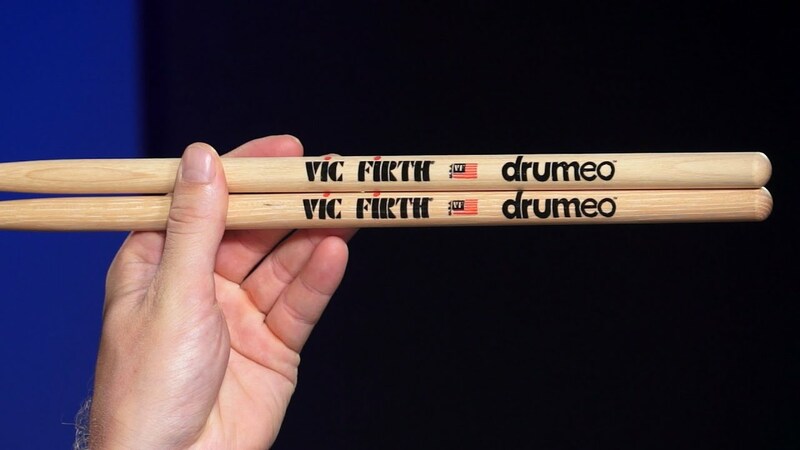 Danny Thompson plays the legendary Victoria, Graham Fox gives plenty of swing on the drums and sizzle cymbals and Louis Vause tinkles the ivories." 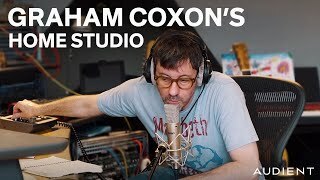 Pre-release response has been positive, with Monday Field of Frank Booth Review dubbing the album "a staggering artistic achievement, and Coxon's best solo release to date." His eighth solo album, A E, was released in April 2012. 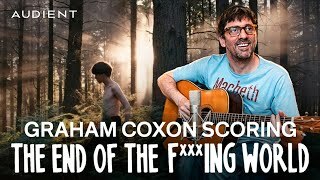 Coxon wrote and recorded the score for the 2017 Channel 4 / Netflix television series The End of the F***ing World; it was his first original score. The soundtrack was released in January 2018. Coxon's independent label, Transcopic, was co-managed with his friend, and then business partner, Jamie Davis. Davis now runs Independent label Ark Recordings. Coxon illustrated and designed all of his own album art, and collaborated with his friend Nick Craske creating abstract digital work for the release of The Spinning Top; they also filmed two music videos, "Sorrow's Army" and "'In The Morning". Coxon also continued painting a series of personal work, most of which remained unseen until 2004, when he exhibited at the ICA in London. Coxon has also been involved in remixing other peoples tracks, including Idlewild and Lowgold both of which were released as b-sides and the latter remix was later re-released on the bands anthology release Keep Music Miserable. In September 2006, Coxon revealed a musical soundscape, "english shoes squeek", created especially for "Verheaven" an exhibition at London's Riflemaker Gallery of the work of artist Julie Verhoeven. Coxon appeared on John McCusker's Under One Sky, providing the song "All Has Gone". In 2009, Coxon was involved in the creation of the Pete Doherty solo album Grace/Wastelands. Doherty had entered a period of sobriety, during which he holed up with Coxon to work on his debut solo album, Grace/Wasteland, (released 24 March 2009) a diverse collection of 12 songs that bounce between reggae and Doherty's standard post-punk. Coxon played on all but one track on the album. Coxon has also produced albums by Mower and Assembly Line People Programme from his Transcopic label. 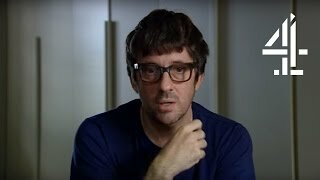 In 2013, Graham Coxon was involved in a musical project where artists re-recorded the classic Beatles album Please Please Me. 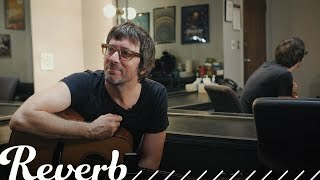 The Blur guitarist recorded the song "Baby It's You" live as part of a 10-hour recording session hosted by BBC Radio 2 to mark the 50th anniversary of a challenge set by recording company EMI to The Beatles to record a whole studio album in one session. 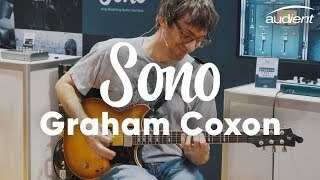 Coxon has primarily used Fender Telecasters throughout his career, particularly a '52 reissue and a customised 1968 model with a Gibson PAF humbucker in the neck position, the latter was reissued by Fender as the Graham Coxon signature model although with some minor changes. Since the Blur reunion in 2009 he almost exclusively used a vintage Telecaster Deluxe. During the Leisure era Coxon also used Gibson Les Pauls and a Fender Jaguar, whilst on some later songs, such as No Distance Left to Run and This Is a Low, Coxon uses a Gibson ES-335. He has occasionally used a heavily modified Fender Musicmaster which can be seen in the Coffee & TV and Beetlebum videos. Coxon plays all the instruments featured in his solo work, and has used a variety of guitars, notably Gibson SGs, and a Burns London Sonic. He has been recently seen playing a Telecaster Custom. Graham recently received a custom made guitar from Gray Guitars - it is a Telecaster-type instrument and features a semi-acoustic body and P90 style pickups. Coxon's playing makes significant use of effects pedals such as distortion, delay (a significant example being "Essex Dogs") and flange (as heard in the pre-chorus of Girls & Boys). He uses a custom made Mike Hill pedalboard which over the years has included: Akai Headrush E2, Boss BF-2 Flanger, Boss CS-3 Compressor/Sustainer, Boss DD-3 Digital Delay, Boss DM-2 Analogue Delay, Boss OD-3, Boss NS-2 Noise Suppressor, Boss PN-2 Tremolo/Pan, Boss RV-5 Digital Reverb, Boss TR-2 Tremolo, Boss TU-2 Tuner, Boss VB-2 Vibrato, DOD Punkifier, Electro-Harmonix HOG, Electro-Harmonix Holy Grail, Line 6 FM4 Filter Modeller, ProCo RAT, Shin-Ei FY-2 Companion Fuzz, T-Rex Mudhoney Distortion. For amplification, he uses two Marshall 1959 SLP heads going in to individual 1968 4x12 cabinets. A detailed gear diagram of Graham Coxon's 1993 Blur guitar rig is well-documented. Coxon is a visual artist and designs all his album sleeves. He has also designed album sleeves for other artists. In July 2006, he wrote and had published a foreword for a new edition of Herman Hesse's novel, Narcissus and Goldmund. His work also featured on the cover of English folk singer Kate Rusby's album The Girl Who Couldn't Fly. He currently lives in Muswell Hill, London with his long-term partner Essy Syed, a photographer and artist. The couple have two daughters, Dorelia Amaryllis Bee Coxon (born 20 October 2012) and Oriana Yani Iris Coxon (born 12 April 2016). He has an elder daughter from a previous relationship, Pepper Bk Troy Coxon (born 7 March 2000), of whom he has custody. On 30 April 2012, he was staying at the Falmouth Beach Hotel in Falmouth, Cornwall, when a major fire broke out. ^ Deevoy, Adrian (March 1996). "Stop the band, I wanna get off!". Q. Bauer Media Group. ^ "From Britpop to Britop". The Guardian. Retrieved 28 June 2010. ^ Live Forever: The Rise and Fall of Brit Pop. Bonus interviews. 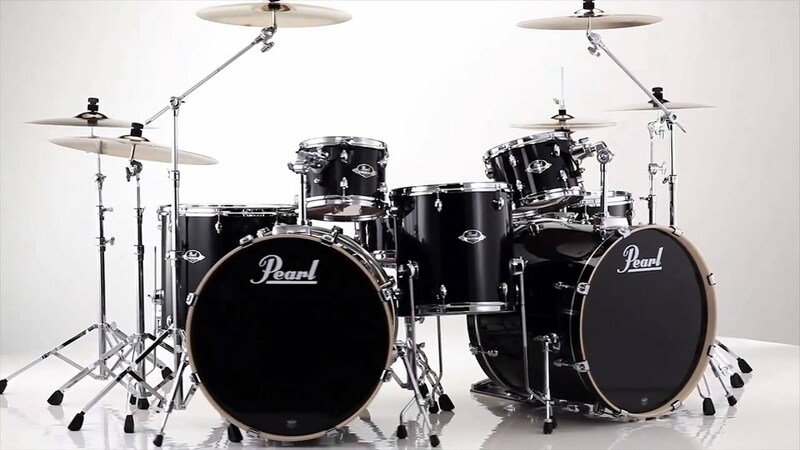 ^ "The Axe Factor". BBC. Retrieved 26 June 2010. 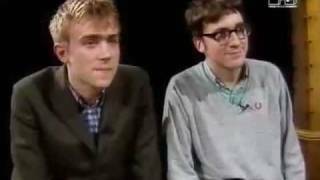 ^ "Watch Blur speak about their comeback gig in video interview". NME. 10 December 2008. Retrieved . ^ "Blur announce Fool's Day single". BBC News. 14 April 2010. Retrieved 2010. ^ "blur". blur. Retrieved . ^ "Blur: Fools Day Becomes Free Download | TMM". Themusicmagazine.co.uk. Retrieved . ^ "Blur - Finally, we can confirm that we will be releasing an album,...". Facebook. 19 February 2015. Retrieved on 19 February 2015. ^ Coughlan, Jamie. "Blur Share 'Go Out', Announce New Album, Hyde Park Gig". overblown.co.uk. Overblown. Retrieved 2015. ^ "Graham Coxon new album produced by Stephen Street". idiomag. 11 March 2009. Retrieved . 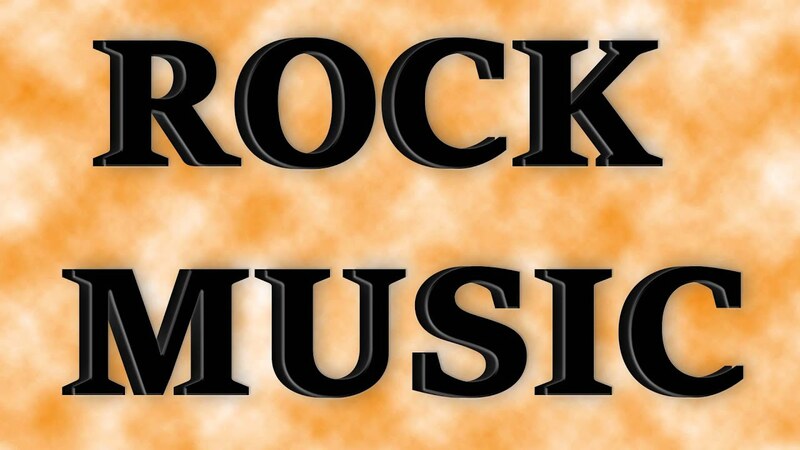 ^ "Blur's Graham Coxon to release new concept album". NME. 9 March 2009. Retrieved . ^ "at". Frankboothreview.com. Archived from the original on 21 April 2009. Retrieved 2011. ^ Moore, Sam (17 January 2018). "Graham Coxon to release his original soundtrack for 'The End of the F***ing World'". NME. Retrieved 2018. 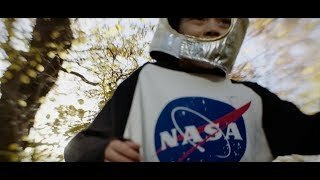 ^ Gill, Andy (1 February 2018). "Album reviews: Graham Coxon - The End of the F***ing World, Field Music - Open Here, Simple Minds - Walk Between Worlds, and more". Independent. Retrieved 2018. ^ "Blur Feel 'Rusty' With Idlewild | News". Nme.Com. 20 September 2000. Retrieved . 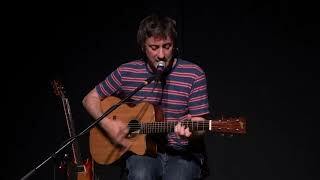 ^ "JP's Blog | Graham Coxon: Remixer?". Jpsblog.net. Retrieved . ^ BlurBalls "Graham Coxon covers Beatles Song 2013", BlurBalls, London, 13 February 2013. Retrieved on 15 February 2013. ^ Cooper, Adam (1993). "Graham Coxon's 1993 Blur Guitar Rig". GuitarGeek.Com. ^ Sturges, Fiona (19 May 2012). 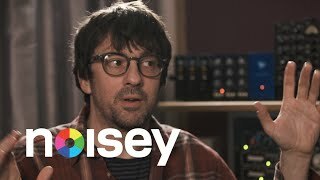 "Graham Coxon: All a blur". The Independent. Retrieved 2012. ^ Gordon Smart (23 October 2012). "Blur drummer Dave Rowntree picks up Q award on lunch break from lawyers job". The Sun. Retrieved . ^ "Falmouth Beach Hotel in Cornwall destroyed by 'massive' fire". The Independent. 30 April 2012. Retrieved 2012. ^ "Fire destroys Best Western Hotel in Falmouth". BBC News. 30 April 2012. Retrieved 2012.